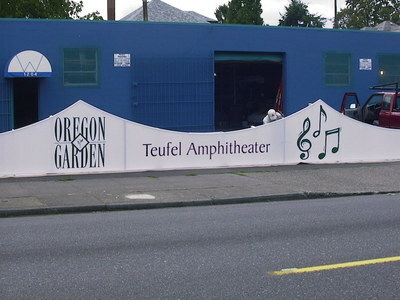 Waagmeester Canvas Products has been in operation since 1945. 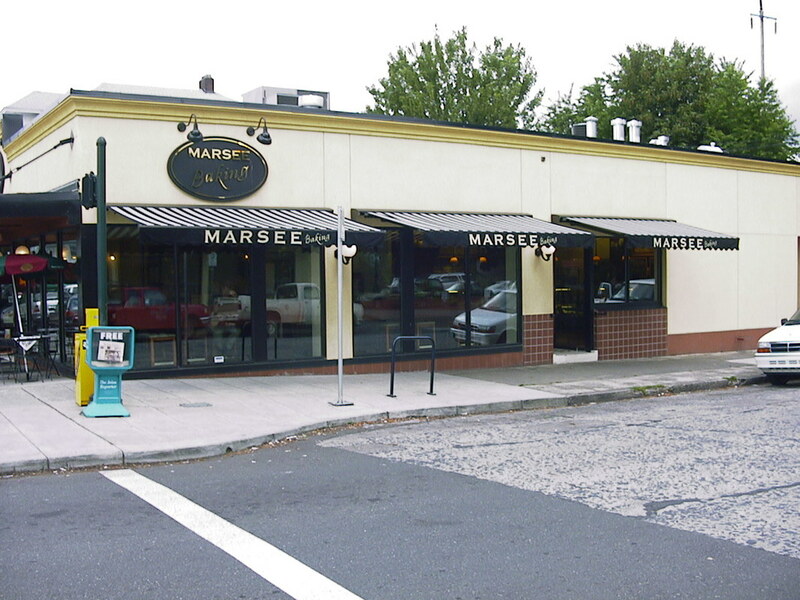 With over 70 years of experience as a leader in the industry, the Waagmeester team is the clear choice for commercial awnings and commercial sun shades. 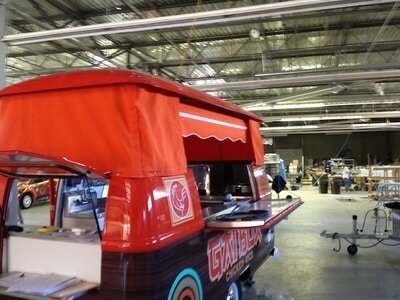 We design and create custom canvas awnings and sun shades for businesses around the country. 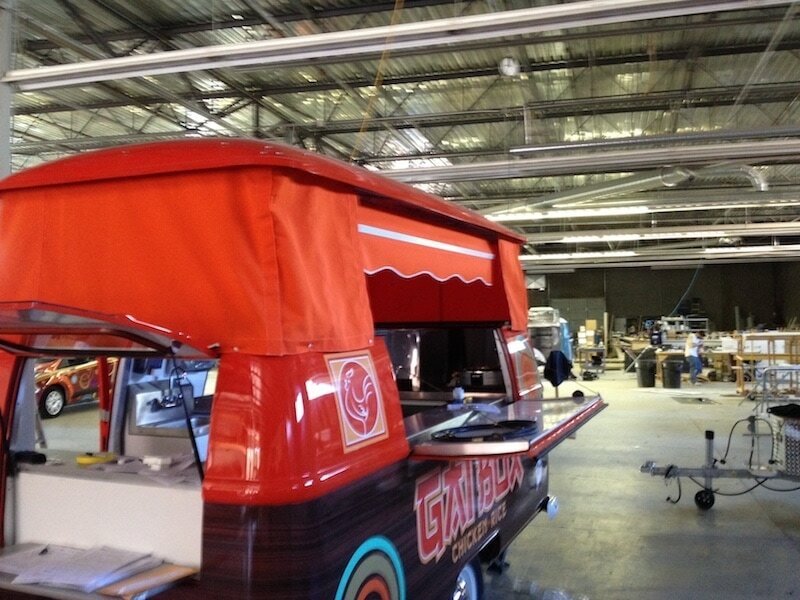 Contact Waagmeester Canvas Products to discuss the needs of your business, we’ll create customized awnings and sun shades what will meet your needs and exceed your expectations. 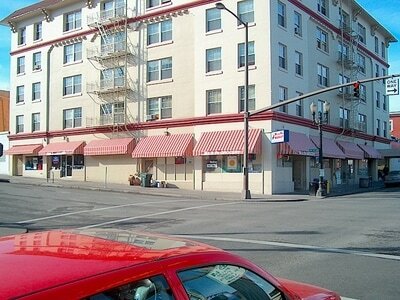 ​The style and types of stationary commercial awnings, also referred to as fixed awnings, are practically endless. As you’ll see they’re not just for doors and windows. 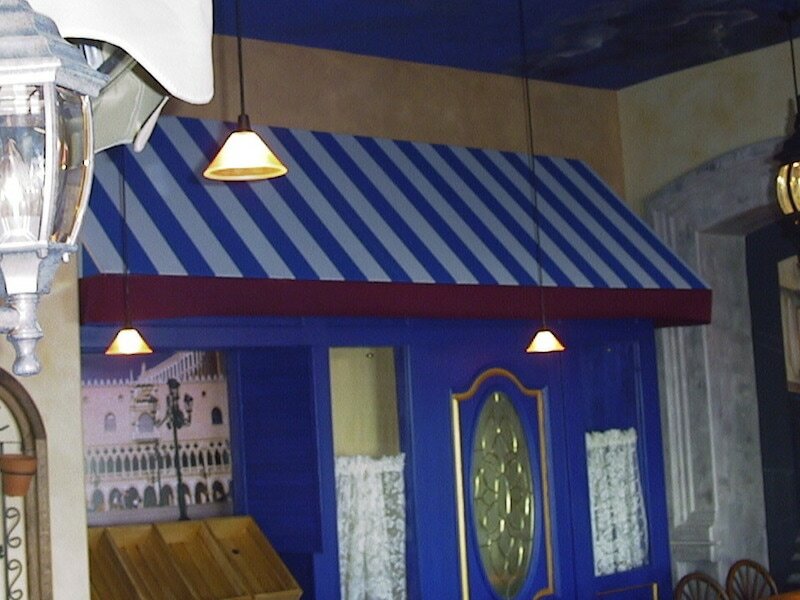 While there are standard types of fixed awnings like Half Round, Quarter Round, Box, Waterfall and Gable, we find that every commercial awning we create really is a custom job. Each business owner has a specific look they’re trying to achieve or function they require. So size, color, patterns, fabric, height, length, width, etc. 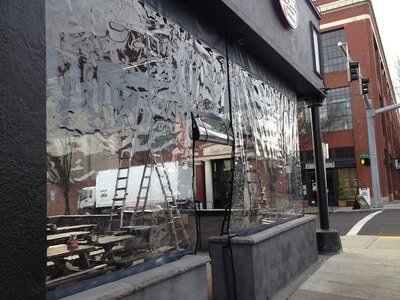 are all specifically for each set of commercial stationary awnings we produce. 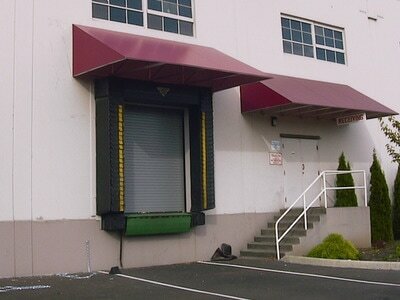 Our stationary commercial awnings provide both protection and aesthetics for your commercial property. Protection from the sun’s heat and UV rays along with the many other elements nature can throw your way are key functions for business awnings. 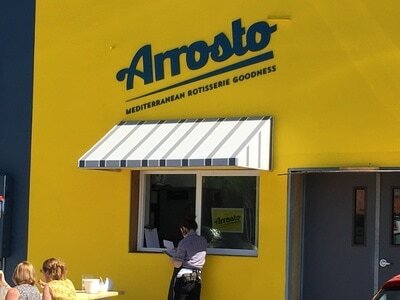 Our awnings can also help to visually enhance your building and display your name, logo and branding in dramatic and easy to identify ways. Maintaining temperature, light levels and energy consumption inside your business are all important factors in ensuring smooth operation and the comfort of your staff and guests. 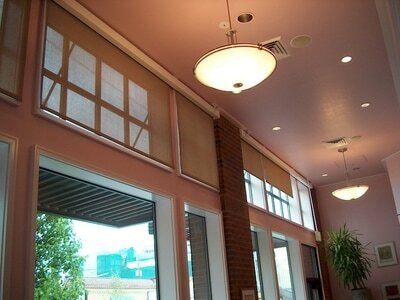 Interior and exterior commercial sun shades from Waagmeester Canvas Products offer solutions for all of these needs. 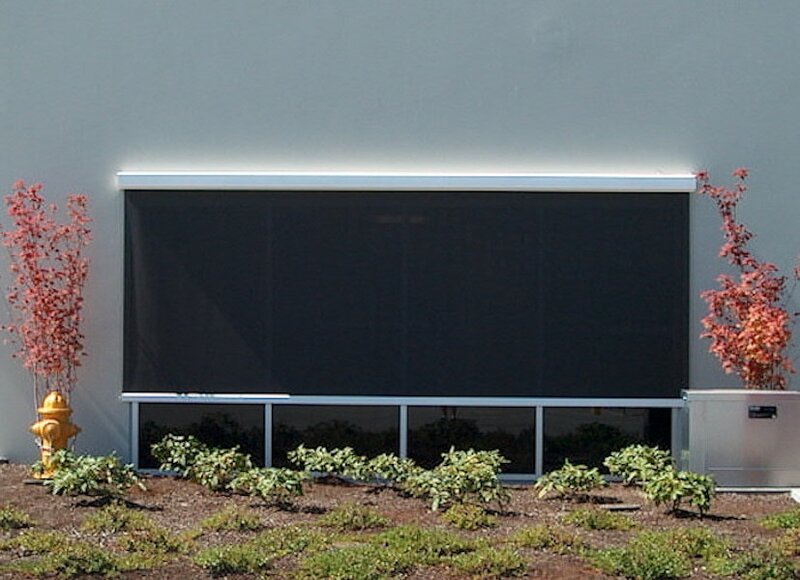 The terms sun shades, sun screens, solar shades and solar screens are often interchangeable, but their purpose is clear – control the amount of light and heat entering your space. 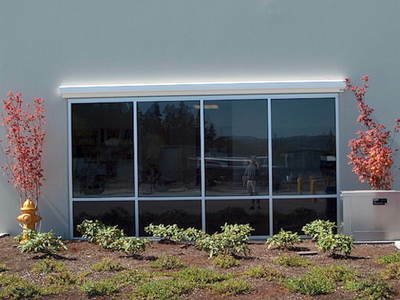 Commercial sun shades can limit the amount of heat and UV rays, thereby allowing you to control temperatures and visibility levels in your business. 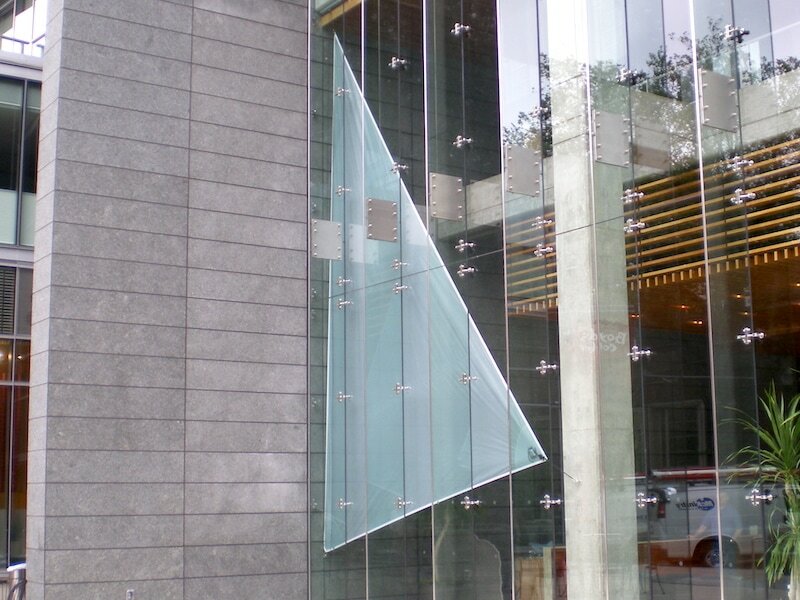 This leads to more efficient energy usage, can help control utility costs and protect surfaces, flooring and furniture from fading due to sun exposure. 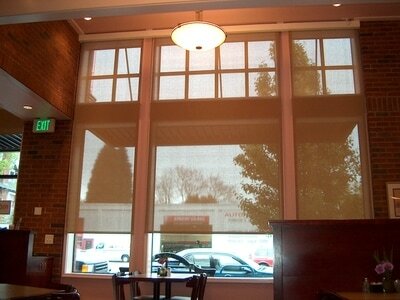 Sun shades are a low maintenance product that can be easily cleaned and will last a long time when properly taken care of. 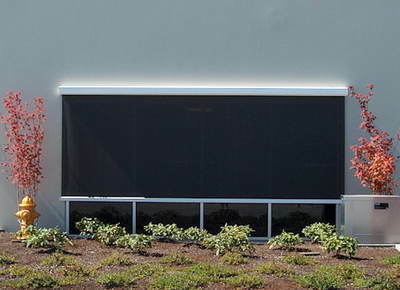 Commercial sun screens from Waagmeester are extremely easy to operate manually, and can also be opened and closed by remote control. A particularly unique and creative form of sun shades for your business are shade sails. Commercial shade sails are a stylish alternative to traditional sun shades that offer heat and UV protection while making a visually unique statement. 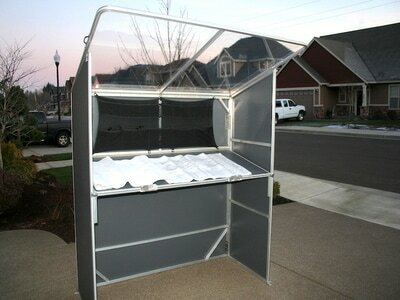 These are a versatile product, great for indoor and outdoor use and can be made to any specifications. 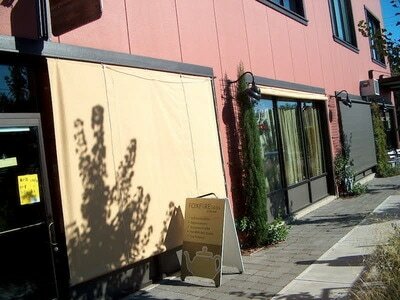 Commercial shade sails often take on the look of an artistic installation. Shade sails can be designed in a variety of shapes such as equilateral triangles, squares and rectangles with near limitless color and pattern options. 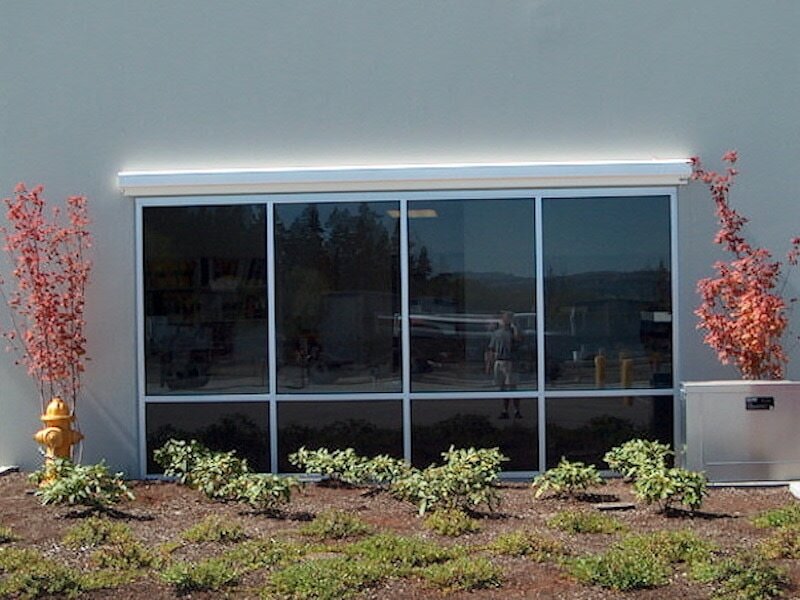 We use stainless steel D rings that are marine grade so that wind and precipitation won’t be an issue and the shades wont sag over time. 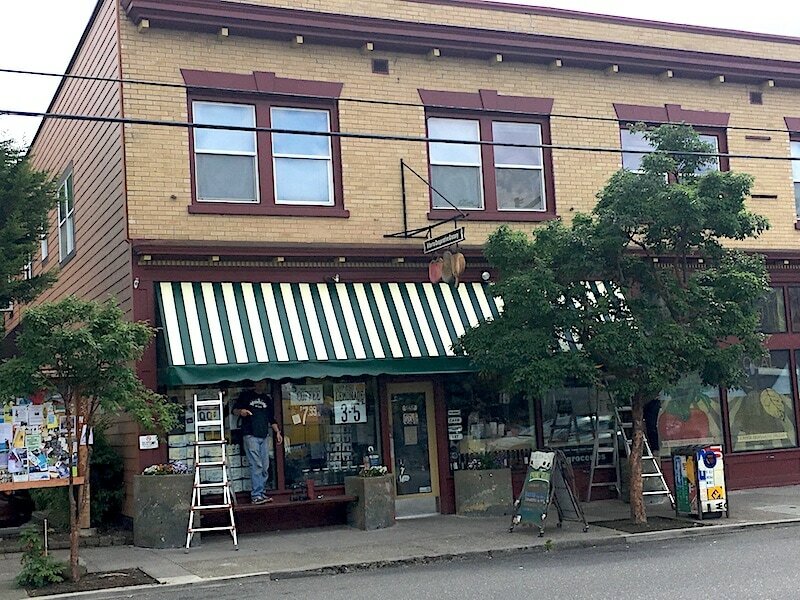 If your business has existing awnings, sun shades, screens or sails that are in need of servicing or repair, Waagmeester Canvas Products is the only pro you'll need to call. 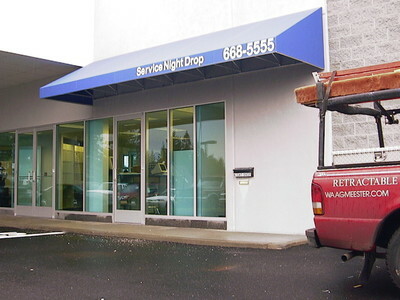 We offer service calls and repairs to businesses throughout the Willamette Valley area. 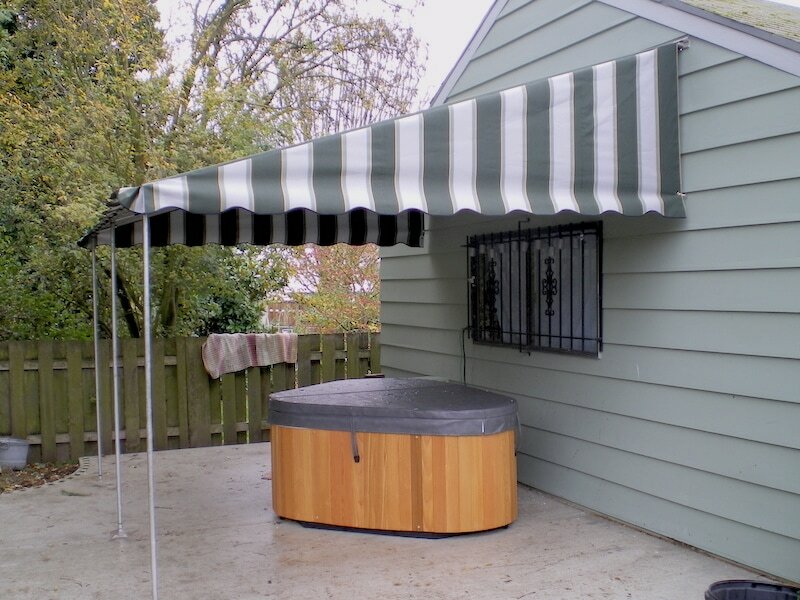 Whether motorized or manual, we can work on virtually any sun shade or awning, and getting replacement parts is simple and often fast. We believe our reputation and our relationships with our customers are stellar, so you can trust that we'll never try to sell new or replacement awnings and sun screens when repair is the best option. 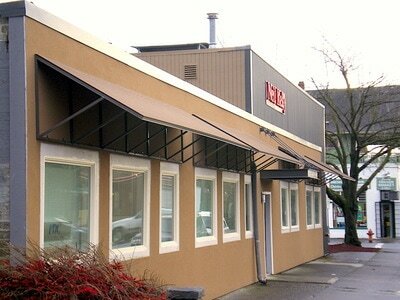 Waagmeester Canvas Products is here to find the best solution for our commercial awning and sun shade customers. 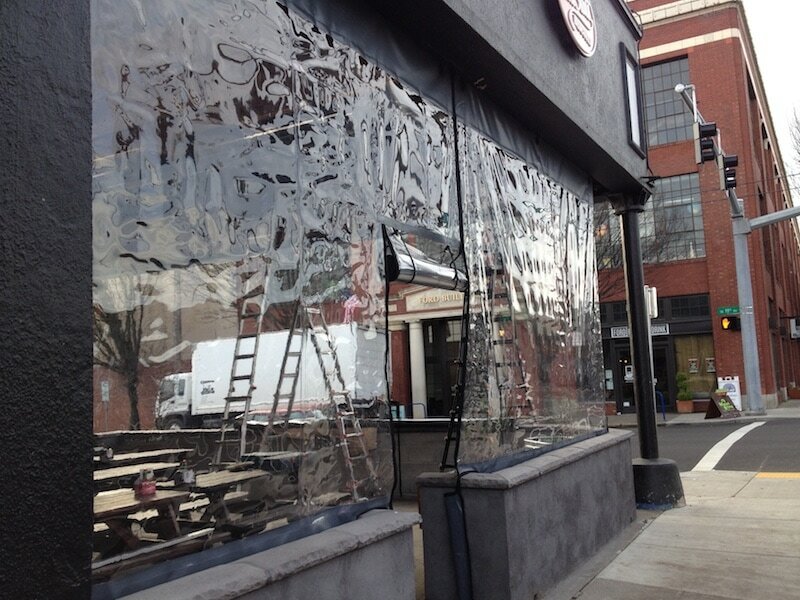 Reach out to us to learn more about commercial awning repair or commercial sun shade repair. 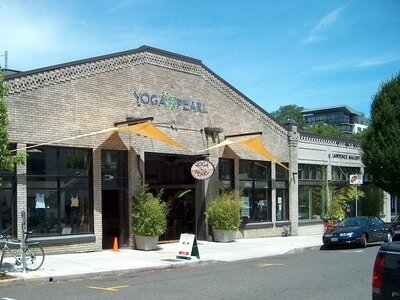 ​Commercial retractable awnings serve more than just to beautify the look of the outside of your business. 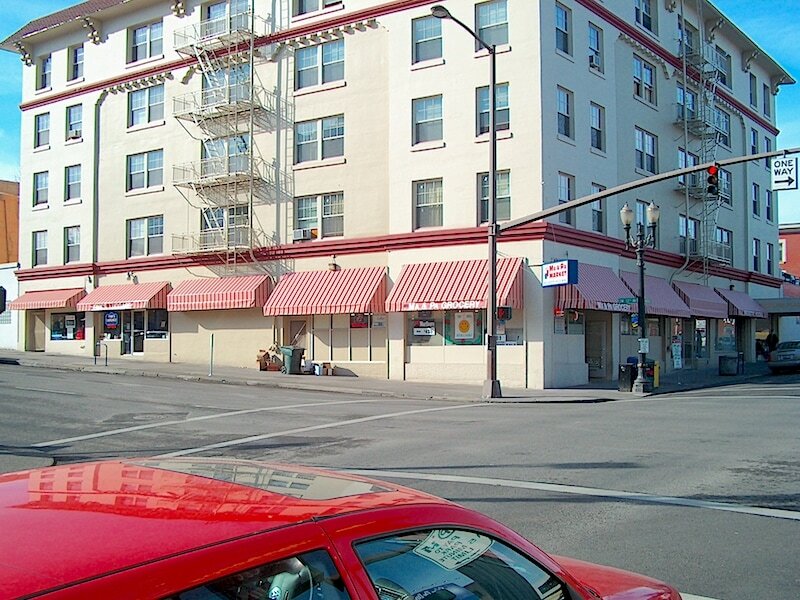 A well-designed awning can help to lower energy costs during warmer months by offering protection from the sun’s warming UV rays. 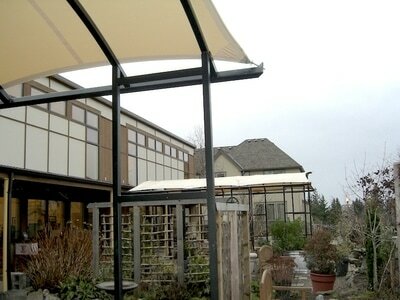 A retractable awning for your business not only lets your customers and staff use and enjoy outdoor areas with protection from heat, UV rays, rain and other weather elements, having retractable commercial awnings is a clear statement to your guests that you’re focused on their enjoyment of their experience within your business. 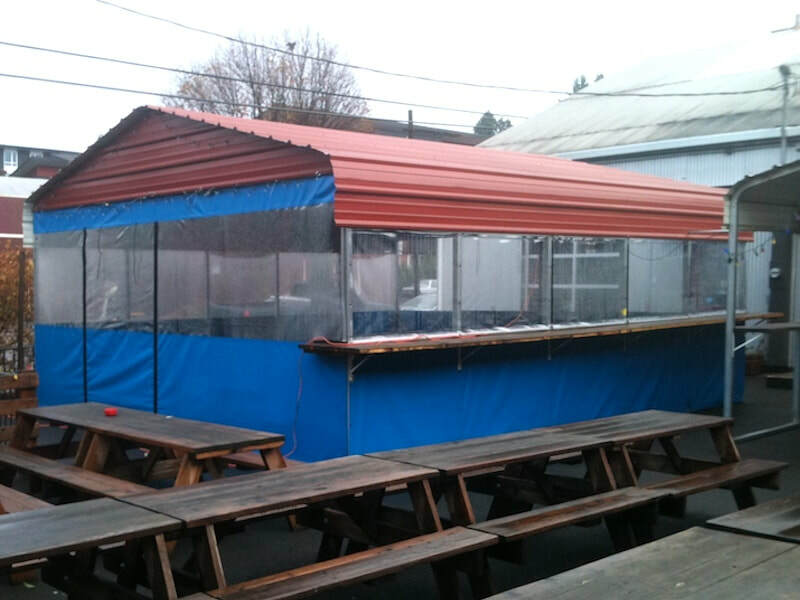 Our retractable commercial awnings are easy to operate, deploying and retracting with ease. At one time the only option for retractable commercial awnings was one that required a hand cranked motor. Now with the creation of small efficient motors that can be operated by remote control, the ease of use of retractable awnings by Waagmeester is unparalleled. 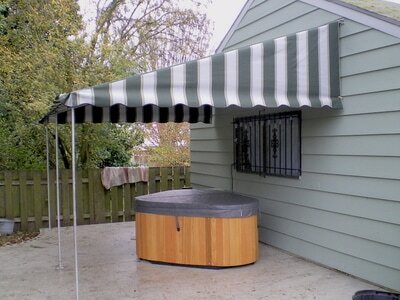 Our awnings can be used to cover spaces of 25 feet and beyond. We use a high-grade aluminum for the frames and the designs lead to durability and structural strength that will last for years to come. 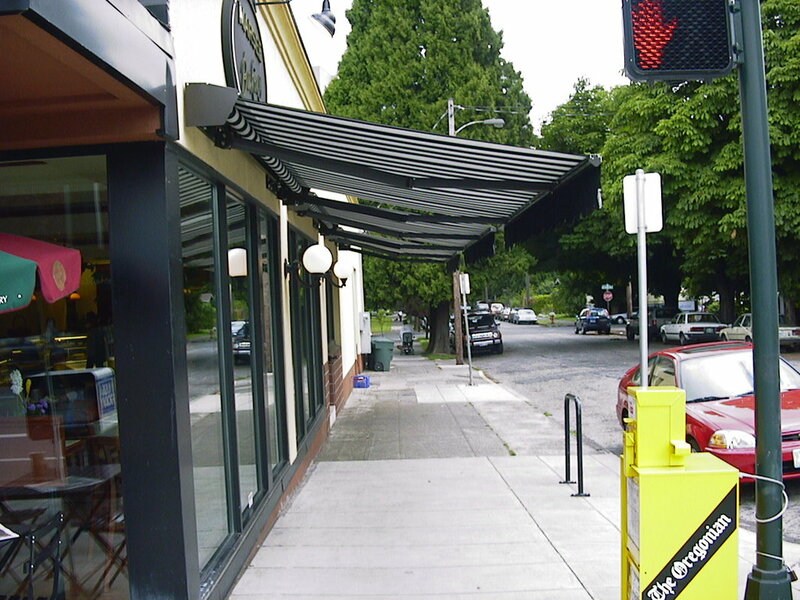 Municipal and city codes regarding commercial retractable awnings vary. These can include standards like load weight, height, width, depth, pitch, etc. Therefore we recommend you check with your local government agencies to see what regulations govern retractable awnings for commercial use. The Waagmeester team is happy to assist you in identifying the relevant agencies and regulations in your area. 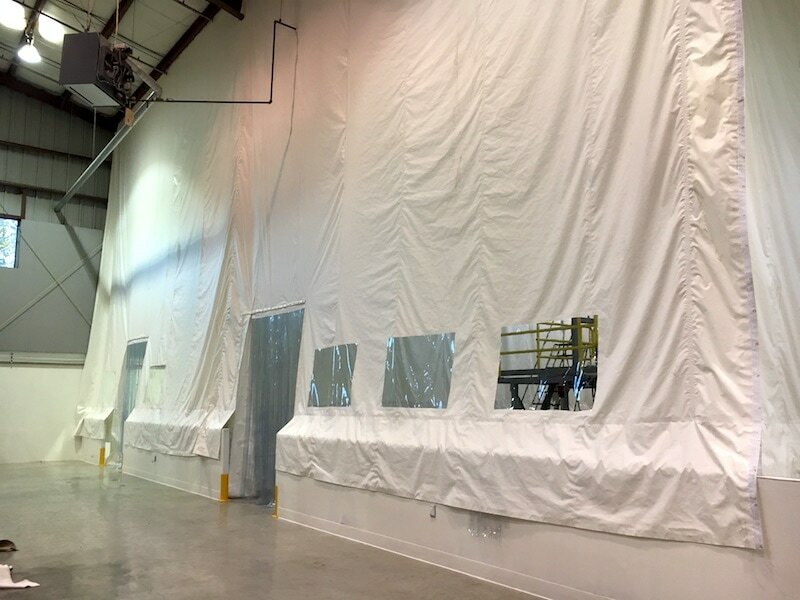 With the knowledge, experience, design capabilities and fabrication facilities we have, Waagmeester Canvas Products is able to create some of the most exciting and innovative custom canvas products in the country. Whether you’re looking for form, function, flare or fun, we can create fully customized canvas pieces to help your business make a statement and catch the eyes of customers and competitors alike. Contact us with your idea or vision, we’ll get it on paper and make it a reality. 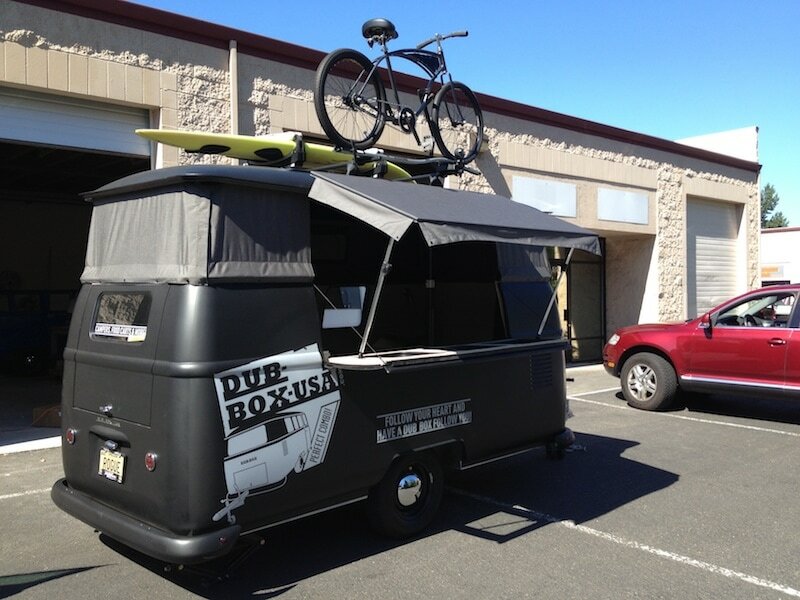 Below you'll see just a few examples of custom canvas products we've created for our commercial customers. 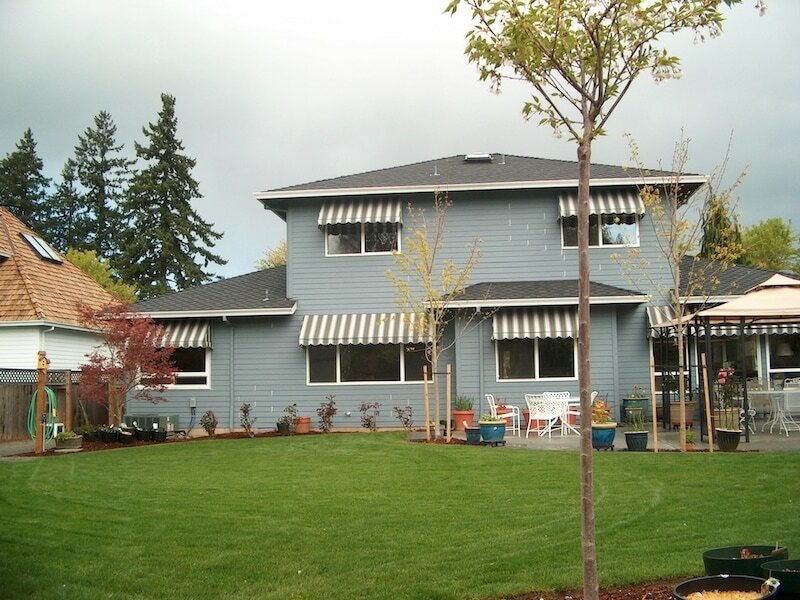 Click the title above or ﻿click here﻿ to learn more about the customization options that the Waagmeester team can offer you. 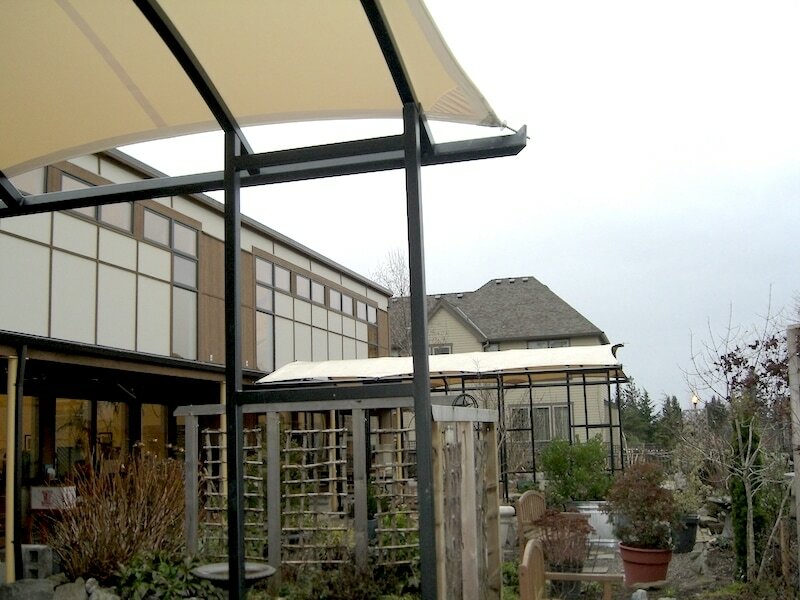 In addition to being the premier provider of commercial awnings and sun shades, Waagmeester Canvas Products designs and manufactures residential canvas products with the same level of quality and craftsmanship. 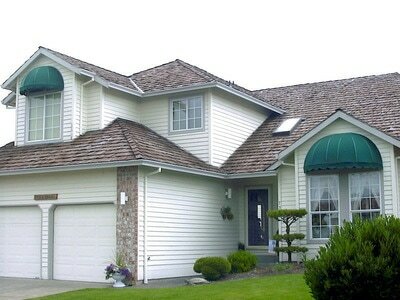 Our residential awnings and residential sun screens provide protection along with adding style and character to any home, condo, beach house or residence. 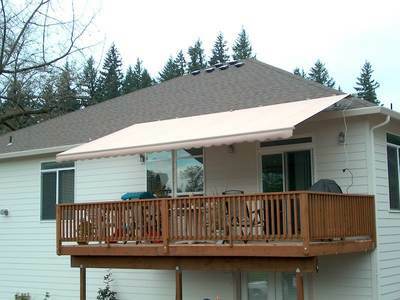 Use the navigation menu or click the title above to learn more about residential awnings and sun shades from Waagmeester Canvas Products. 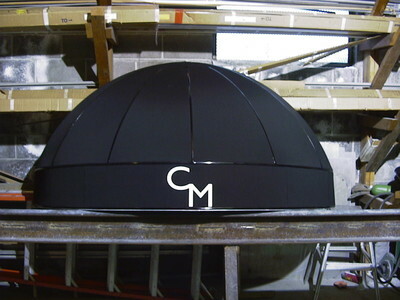 Waagmeester Canvas Products is committed to quality in every aspect of our commercial awning and commercial sun shade creation. We use only the very best canvas, metal, fiberglass and PVC materials to construct awnings and sun shades for our business customers. This commitment extends beyond the physical product, our customer service is as much a part of this commitment as the products we create. We’ll work with you on every step of the design and creation process, helping you to best identify the products, features and benefits that will best serve your business. Form and function are equally important with our commercial awnings and sun shades. 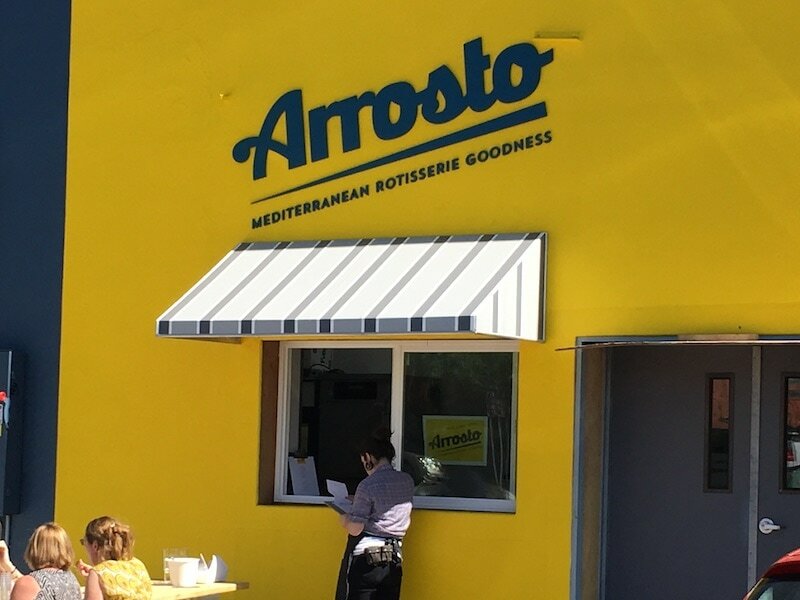 Our products will not only perform well, your business will look great with custom awnings and sun screens from Waagmeester Canvas Products. ​Waagmeester can create canvas solutions for any need, be it residential or commercial. 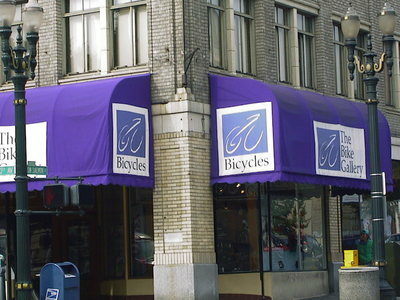 Your home or business will be enhanced and protected with our durable and high quality awnings and sun shades. 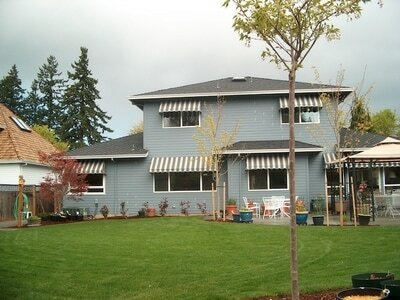 Contact us to discuss your next project. Give us your ideas and vision. Let Waagmeester Canvas Products turn them into a reality that will last for years to come. 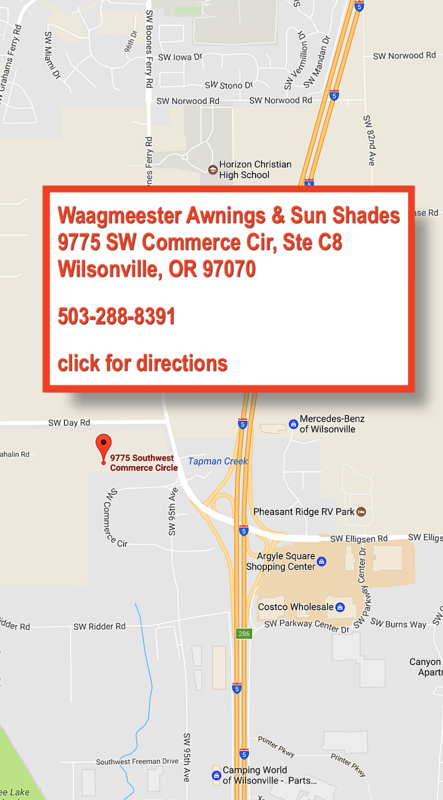 Waagmeester Canvas Products is now located in Wilsonville, Oregon, just outside of Portland. 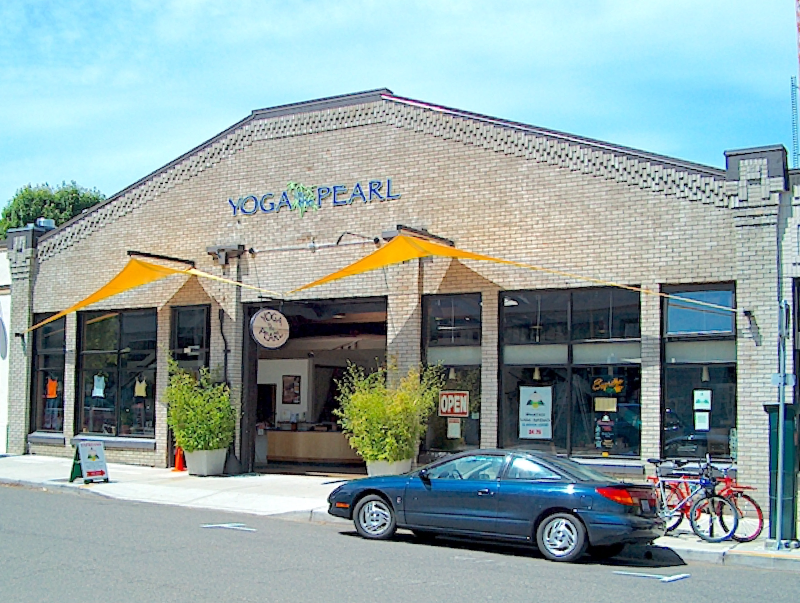 Founded by Bud Waagmeester in 1945 in Portland, OR, we've been working with customers in the Portland-Willamette Valley area and across the United States for more than seven decades. 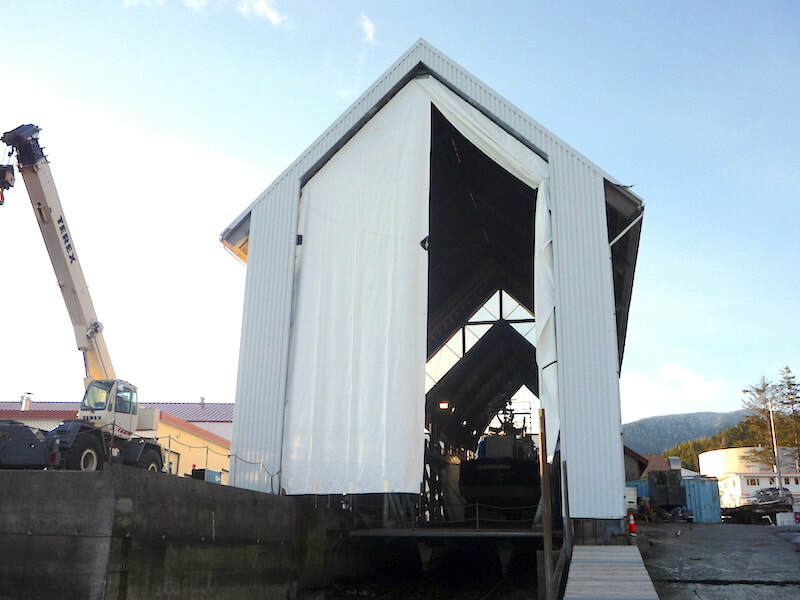 Today Waagmeester remains a family owned and operated business and has spanned three generations of the Waagmeester family. 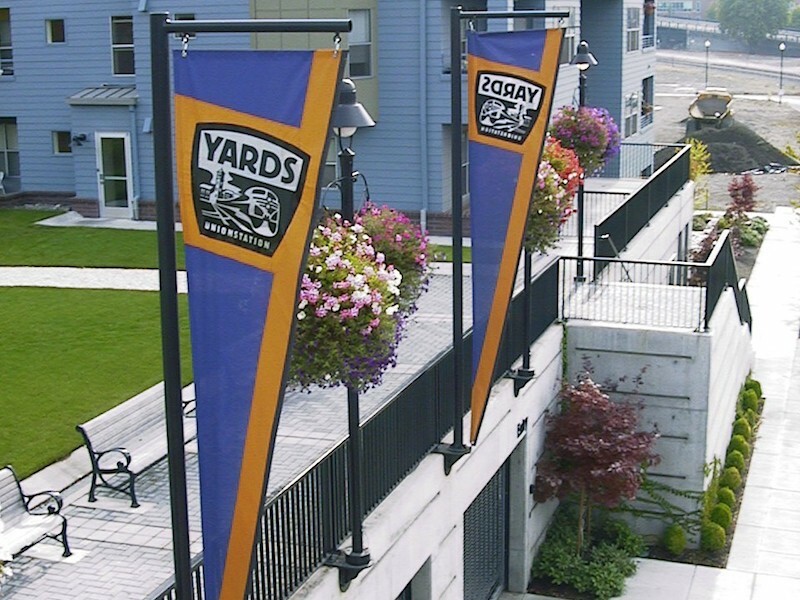 As a family business, we treat our customers like they’re one of us, offering the same level of quality and customer service envisioned by Bud back in 1945.